air joe is proud to serve the Wheaton community! We are proud to be a part of this community, serving your heating and air conditioning needs: air joe is listed in many directories under titles such as : Wheaton Heating Contractors, Wheaton Heating, Wheaton Air Conditioning, Heating Repair, Air Conditioning Repair, Wheaton Heating and Cooling Contractors, Rooftop HVAC Repair, Ductless AC Systems, Boiler Repair and Wheaton Heating and Air Conditioning Contractors. We are here for you whether you need furnace or air conditioner repairs, heating and cooling estimates, equipment replacement or new installation of a furnace, air conditioner, heat pump, rooftop heating and cooling or comfort products to improve the air filtration for your home or business. 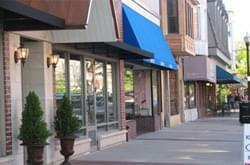 About Wheaton, IL - Happy to be your hometown Heating & Air Conditioning Contractor! The city of Wheaton is located in DuPage County, Illinois, approximately twenty-five miles west of metropolitan Chicago. Home to approximately 53,000 residents, Wheaton is known for its top-ranked schools, nationally acclaimed public library, and abundance of recreational and entertainment opportunities available to residents and visitors alike. A four-time winner of the “National Gold Medal Award for Excellence,”the Wheaton Park District manages forty-seven public parks, the Northside Park Family Aquatic Center, and Rice Pool and Water Park, as well as the Lincoln Marsh Natural Area, Cosley Zoo, and Danada Forest Preserve and Equestrian Center, former home of 1965 Kentucky Derby winner Lucky Debonair. There are also a number of prestigious golf courses in the Wheaton area, including Chicago Golf Club, featuring North America’s oldest 18-hole golf course, as well as several trails suitable for hiking and biking, such as the 61-mile Illinois Prairie Path, an excellent rails-to-trails conversion project that passes through Wheaton on its way across Cook, DuPage, and Kane counties. Patrons of the arts will enjoy visiting Wheaton Drama, one of the Chicago area’s foremost community theaters, and the DuPage Art League Art School and Gallery, offering classes, programs, workshops, and exhibits for art lovers and students of all abilities. Conveniently located to the city of Chicago, O’Hare International Airport, and Midway International Airport via I-88 and I-35, Wheaton is a great city for living or visiting in Chicagoland!